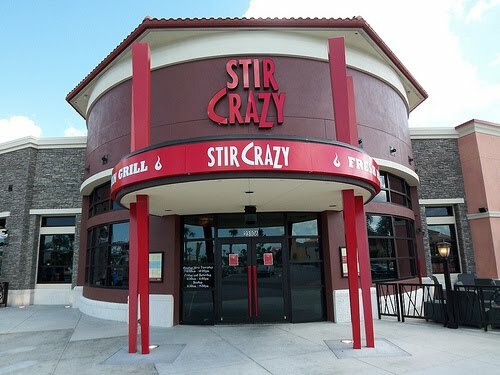 Chicago, Illinois-based Stir Crazy will close their Atlanta restaurant (and as many as two other out-of-state locations) later this afternoon. The Atlanta area restaurant, located in TOWN Brookhaven, never really lived up to the expectations of the company, and its closing comes as little surprise. I was the first to announce Stir Crazy would be opening in Atlanta in February 2011, and they opened their doors August 26th. Their closure comes just shy of one year in business, and is the second significant chain restaurant to have closed in Atlanta in just the past seven days. New York-based 5 Napkin Burger closed their midtown Atlanta location August 13th, having opened it August 15th, 2011. I think both restaurants should have done a better job or researching the neighborhoods in which they were opening, and if they had, they might still be in business. 5 Napkin should have been in Buckhead, Stir Crazy in Dunwoody or Alpharetta. Stir Crazy is similar in cuisine to that of Atlanta-based Chow Baby and Dallas, Texas-based Genghis Grill. Chow Baby was in fact the original Asian eatery planned to open at TOWN Brookhaven, but they later pulled out as did many other local eateries. Chow Baby is preparing to open their third location, this one at the Mall of Georgia. Genghis Grill, on the other hand, has scaled back expansion plans and has already closed their south Buckhead location. Genghis Grill still operates locations near Perimeter Mall and the Mall of Georgia. Stir Crazy will not be the last restaurant to close in TOWN Brookhaven (known to some as food court Brookhaven.) The project simply has too many mediocre restaurants, and does not have the kind of multiple day-part traffic to support them all. Slack's Hoagie Shack, a Cinnaminson, New Jersey based sandwich shop, closed their restaurant in TOWN Brookhaven as it tried to hard to be upscale, and had a poor location. Eateries like Treza, which recently revamped its menu and also tweaked its pricing, are also questionable long term. The fact that Treza finally relented and was featured on Scoutmob, is far from a shot of encouragement. Scoutmob is a losing proposition for many a restaurant, and for Treza to get in bed with them so long after their opening screams trouble. Other eateries like The Cup and Swirll are also likely to close. There and Newk's Express Cafe each have obstacles to overcome but appear to be doing better than most. By far, the most successful concepts are Noche, Moe's, Cafe at Pharr/Baci, and newcomer Olde Blind Dog. Bonehead's Fish and Piri Piri Chicken is scheduled to open near Moe's but given the response to recent postings on their food and concept, I doubt they will be successful. Do you like in TOWN Brookhaven? What would you like to see added to the center? What is your favorite concept? What is your least favorite concept? Scoutmob screams impeding restaurant death. Went to Stir Crazy in Boca once. Far inferior to Chow Baby and Chow Grill. Pre sized protein and carbs. And you have to stand and wait for your food instead of going back to your table and relaxing with your friends while your creation is cooked. Souper Jenny, Fritti, Murphy's and Rosebud have all been on Scoutmob and are institutions. If anything Scoutmob helps places stay in business longer. I am surprised because every time we went there it was busy. Food was not very good though. Was just at TB last night and it was packed. Parking was very difficult and ended up down by the Costco/LA Fitness. Of course it was a Friday night, but it seemed like there was plenty of business to go around. I think it's Oglethorpe move-in weekend ... so that would certainly help their traffic. I actually even noticed that Stir Crazy was pretty busy. But I agree, M-F on a week to week basis, it seems there are too many eateries for that center to support. All in all, TB is a nice center and Sembler certainly has deep enough pockets to see it though. I always appreciate feedback. I like to give it as well. I think many a concept does not do their due diligence in deciding whether or not to open and if so, where they will do so. I'm not only a fan of product wise, but also brand wise many home grown concepts like Farm Burger, Grindhouse, Miso Izakaya, The Yogurt Tap and Sheik Burrito. Plenty of national chains like Corner Bakery and Panera Bread in addition to Del Taco and Seasons 52 I have given praise to both on the blog itself and through my own consumption of their goods.  I understand where you are coming from in your thinking but would ask that you look further to see what I write as beneficial to the industry as a whole. The insights I provide are priceless to some and annoying to others but rest assured for all those I annoy or piss off, I get equally as many.. if not more.. emails from readers, just like yourself.. thanking me for the time, effort and thought I put in to each post. This is sad news! I know Stir Crazy was trying every promotion possible, but I think the space was too big, and Sembler is too proud of their project (ie. high rent). The only ones seeming to do well are Noche and Newks (both great concepts) which have the best positioning inside the center. I would be more apt to park in one of their parking decks and walk around if there was more shopping, but it's mostly all restaurants. From what I understand the tenants there don't get much help from Sembler in the way of marketing. A lot of their potential customers in Buckhead don't know that its two miles from Lenox/Phipps, or that it even exists! I would be interested to know what hurdles you think that There Bar and Newks have to overcome. I've been to both a few times and they've been packed each time. I agree with the CUP though. There is no identity there. Also, Treza has a huge park problem. Sub-par stir fry in an oversized location with little noticeable marketing or advertising and superior alternatives in the area....not surprised. As a resident of TB I get the impression that Newks, Noche, Moes , Old Blind Dog and BUA all seem to be doing well. Each has a pretty solid location and offer something unique either in cuisine or atmosphere. The author is likely correct in pointing the Over abundance of food options as well. I think INTOWN needs more promotion. I only recently discovered "Stir Crazy" and had plans to go later in the week. I had no idea it was even in there. I really like INTOWN, it is a "hidden gem" - I just don't think enough people are aware of it. I was there last night (Saturday). We ate at 'there'. Granted, this is a moronic name for a pub/restaurant, but the burgers were great. Around 7:30 or so 'there' seemed to be doing pretty good business, but it looked like it picked up considerably an hour or so later. Noche appeared to be doing great business. Baci was crowded (though the wife told me that they had just run a scoutmob), and treza was doing pretty good business (possibly due to coupon). Other places looked like they had a smattering of business. Not many people at Moe's, but that's to be expected on a Saturday night. 'There' was a tad pricier than where we usually go, but we liked it, and really liked the plentiful and free parking. The entire development is really not that big and is easily walkable. I'm surprised Olive Bistro is still open, as it didn't really impress me my one time there. I would love it if I could substitute Cafe Sababa for Olive Bistro. There were several guys in Stir Crazy and they were taking down/apart displays and such. Treza is one of my favorites. I'm glad they did a Scoutmob to get more people in the door. They need to be doing more marketing. The food is always very fresh. The pizza rivals Hearth's and the salads are large and a good value. The homemade gelato is delicious. I am pulling for them to stay in business, and have been there at least once a week lately. Olde Blind Dog has good food and a cool interior. Of all the restaurants in there (and I've been to all except Stir Crazy, There and Olive), Baci is my least favorite. They've been on Scoutmob twice already I believe, and I would think they'd be more likely to close than others that you've listed. If 'there', treza or a few of the others were located in hip and happening 'west midtown' (Howell Mill whatever area), then the AJC and Bob Townsend would likely have already written several nice puff pieces on them. Alas, it seems very trendy to bag on TB, and to provide minimal media coverage of what's in there. I've heard good things about the treza and I think we'll try it next week. i would love a zoes kitchen!! It's interesting that one commenter mentions that Stir Crazy tried many promotions. Apparently I missed them all and never had any reason to visit this place. 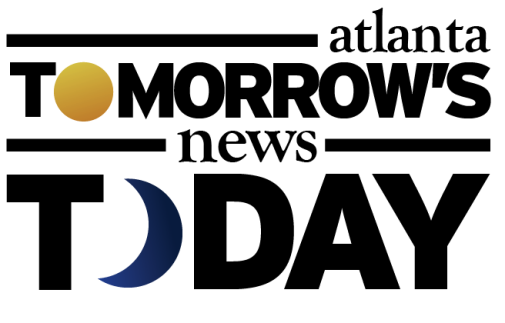 Scoutmob definitely helps businesses that would like to increase visibility and traffic count, but it can't do much other than provide very short-term assistance to ones with poor concepts or that are already on life support. I agree that this restaurant would likely have worked better in a more suburban location. Stir Crazy had promotions(coupons, groupons, bogo's, kid eat free 3 days a week) plastered all over the walls of their restaurant, in newspapers, magazines, billboards. So yes, you missed them all, I guess. I agree, this place is becoming "food court" ish and more than likely because only large national chains can afford the high cost of rent! Ideally I would love to see more locally owned concepts thrive here and hopefully it will happen. As a Brookhaven citizen, we are CRAVING great places to eat and right now only have a couple to boast about on Dresden. As a mom of 2 little guys I would also like to see a nice mix of kid friendly restaurants. When I say "mix" I mean there are times when I want there to be NO kiddos like on date night. The biggest disappointment about this shopping center is Publix, did we really need another? Why or why couldn't it have been Whole Foods that opened instead? Or how about Publix's own version called Greenwise that seem to be doing well in the few upscale FL locations under their belt. One day these groups will do their research and realize the patrons of this plaza are not the section 8 apartment dwellers living here, it is the local residents in adjacent neighborhoods. Stir Crazy was actually my famalies favorite restaurant. I have kids age 2 and 6 and they loved it. also my wife loved the spicy tuna 3 layer appetizer. I agree that the location should of been in a more family oriented area but suprised they closed because I ate there once a month for the last year and it was always busy!!! Ever heard of the saying "Too much of a good thing?" If there is one thing that I'be noticed about these marketplaces like Town ,Atlantic Station, Linbergh is that they geared.. maybe by accident... of gearing towards the same people, with the same retail/dining options. Translation: the upscale crowd. I'm not against progress of any sort.However, With the exception of Edgewood or Camp Creek, too many of these projects leave out others . Someone on here mention" Section 8"people on here and its exactly statements like that that convinces me that many of these projects purposely leave out who they may think is poor and/or minority. I love projects like the ones in Edgewood and Camp Creek because every demographic goes to these places including the so called section 8crowd (You can't look at people and tell who a person is) and I imagine in this shaky economy that those places may stand more than the "upscale" places.